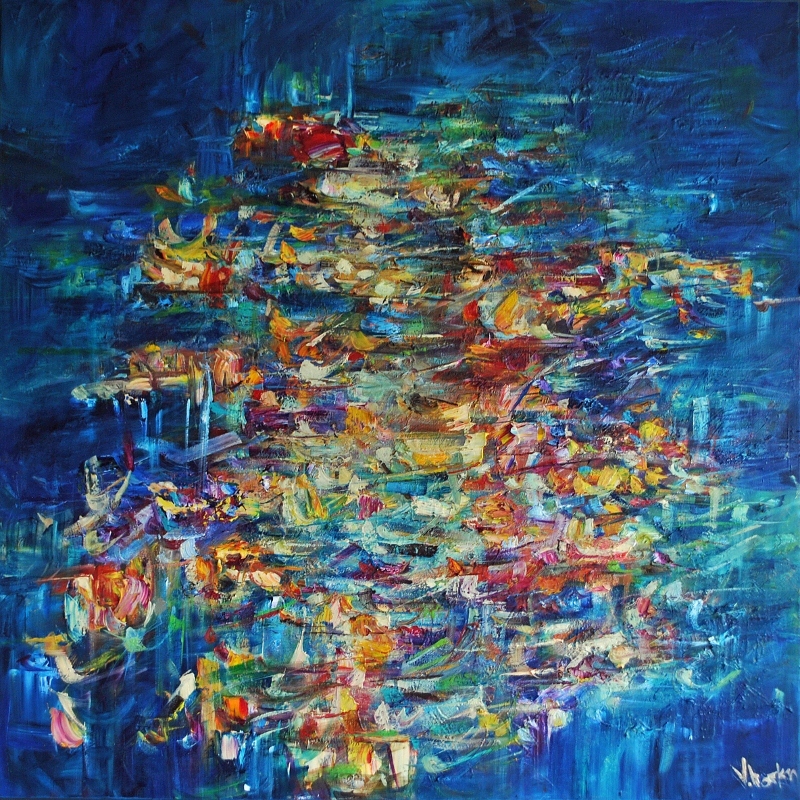 Victoria Horkan’s work offers a bold, vibrant and expressive milieu of forms and colours that falls somewhere between the realms of impressionism, abstraction and expressionism. Taking inspiration from the natural world, her paintings make reference to creatures from the sky and sea. Yet her work is by no means directly representational and alludes to subjects such as birds and butterfl ies by offering a mere suggestion of their forms rather than any literal or realistic transcriptions. She playfully engages with scale and perspective, making large what is typically small but her central focus is on colour, gesture and mark making. Pure, bright colours that are set in sharp contrasts of light and dark, warm and cold are combined with loose, distinct brushstrokes that resonate strongly with the impressionist tradition. 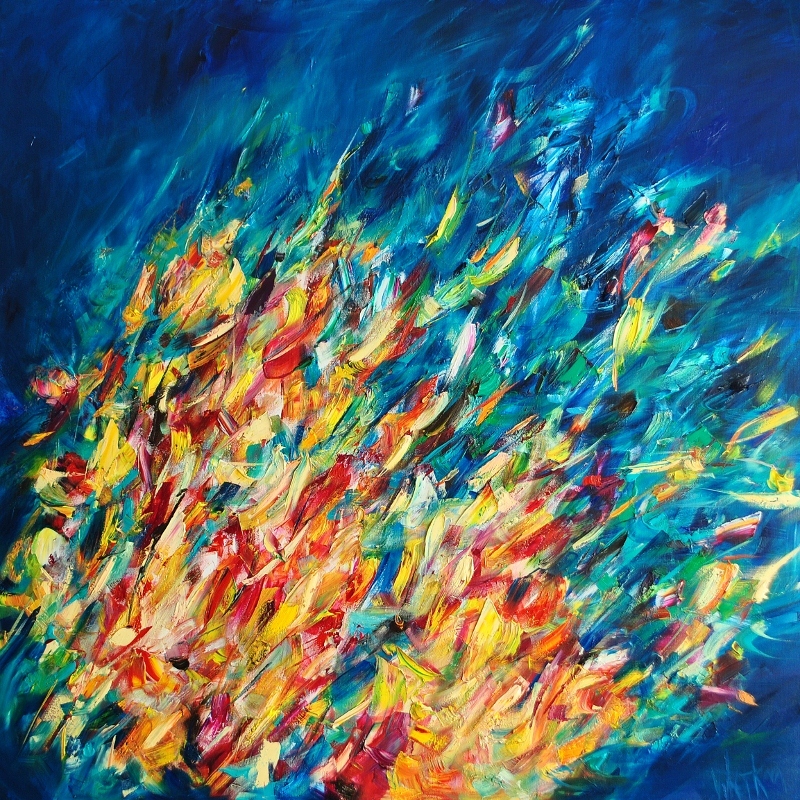 These strong, confidently placed marks are the sign of an assured and mature artist and the manner in which they are applied creates a sense of movement, giving the work an energetic, flickering quality that is particularly evident in her underwater scenes. Horkan is indeed fascinated by the idea of transcribing sensation and used to sit in the dance studios at Bretton Hall College in order to try and capture the dancers’ movements through sketching. Horkan is aware of what a powerful stimulus colour can be and recognises its capacity to affect mood and to generate particular emotions. She strives to make good use of this in her art, believing painting should be able to move the viewer in much the same way that music may move the listener. Kandinsky was the first artist to seriously explore the connections between music and art, believing musical and visual expression could be used to simultaneously illuminate and intensify each other. 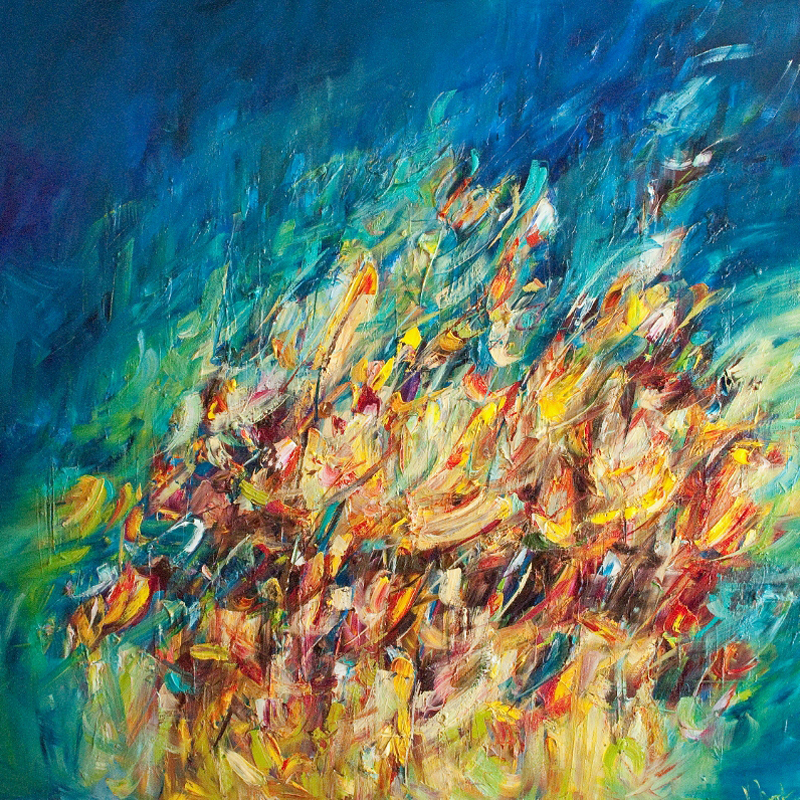 He saw the two subjects as deeply interconnected and claimed that ‘generally speaking, colour is a power which directly influences the soul. Colour is the keyboard, the eyes are the hammers, the soul is the piano with the strings. The artist is the hand which plays, touching one key or another, to cause vibrations in the soul’. Such theories seem to apply to Horkan’s work. She is not looking to translate a particular narrative or to provide work that is radically conceptual. 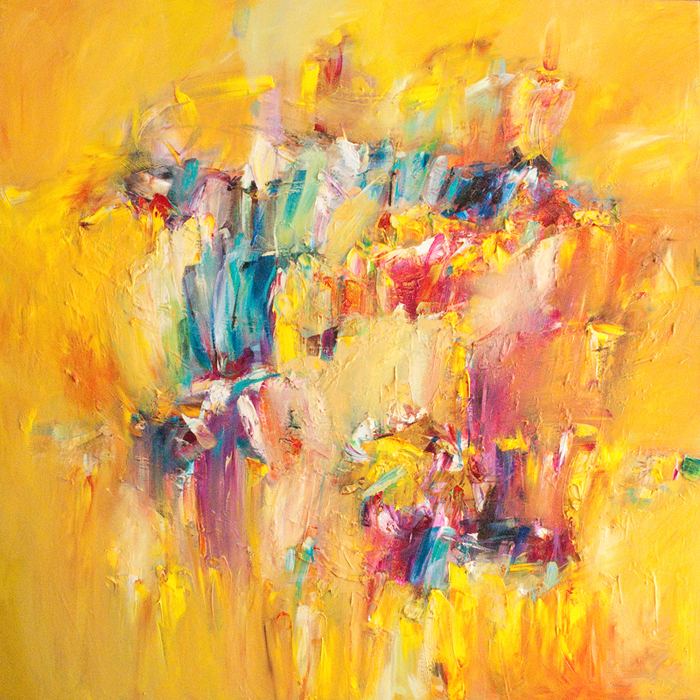 Rather she seeks to leave the viewer with a lasting impression, to bring them to a place of joy even on the darkest of days and her colourful paintings radiate an energy that is truly uplifting and invigorating. 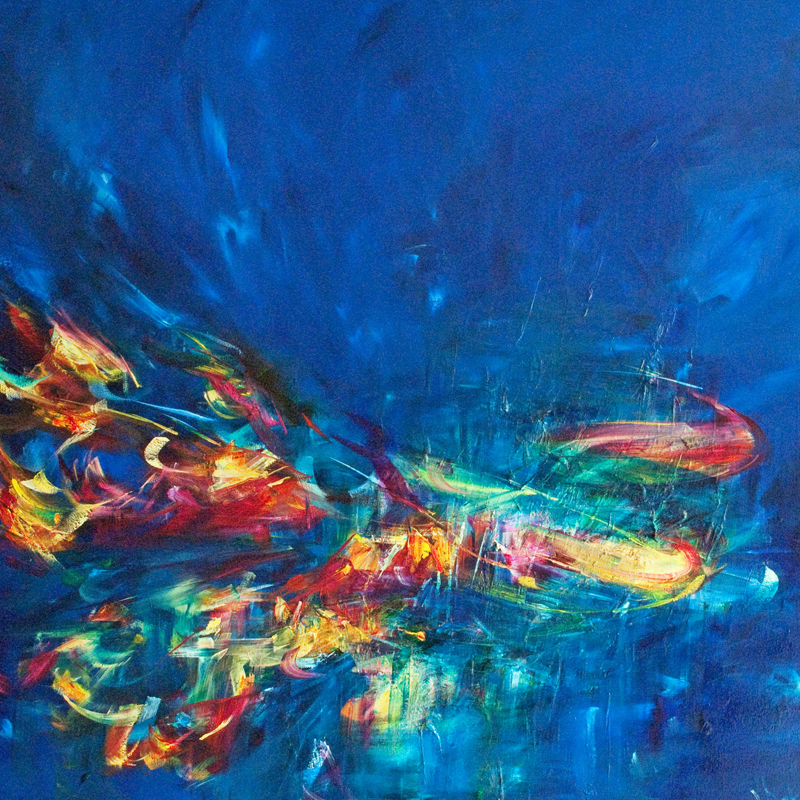 At times, the process of painting takes her into totally abstract realms and this is where Horkan herself experiences the joy of artistic epiphany, absorbed only in the mark making and the application of colour, she finds herself totally free to express the vision that comes from within. 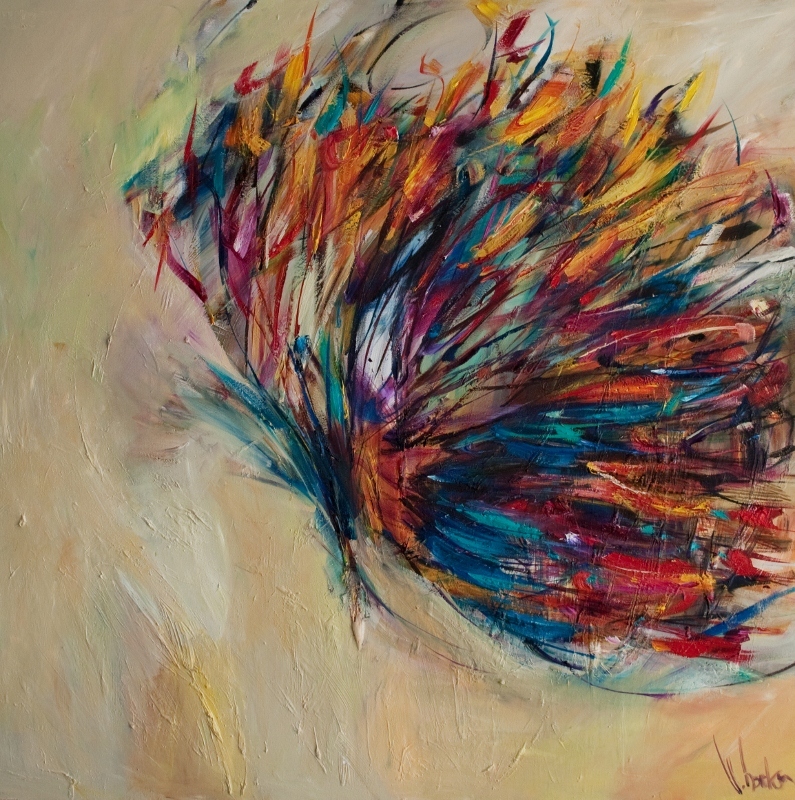 Having already exhibited in London, Leeds, Belfast and Edinburgh and with clients in America, Italy, Dubai and Abu Dhabi Victoria Horkan is definitely a name to watch.